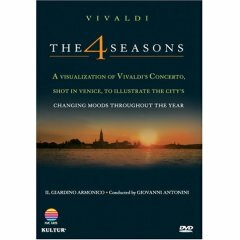 Antonio Vivaldi's The 4 Seasons are familiar concertos that are brought to life as sights are captured in the city of Venice. The pace of the music seems perfect for strolling at home on your treadmill as you dissolve into the atmosphere of Venice and wander across bridges, take a ride in a gondola and watch a storm approaching as the sky darkens. The seasons are beautifully portrayed with plenty of attention given to breathtaking scenic views of the water and city from all angles. Fisherman work on their boats and a violin maker sands pieces of wood to perfection. City life, parades, people meeting along the street, artists and craftsman at work gives this a realistic and wistful mood. At one point you are wandering along walkways with tourists and the next you are experiencing the romance of the season. Each vision brings unique moods as the city moves from a bustling tourist attraction to a cold silent winter. If you have been looking for a tiny address book to carry with you in your purse or pocket, this is an excellent choice. The adorable size does not mean you will have no place to write. In fact, there are only two entries per page, allowing for name, address, phone and e-mail. The picture on the front can be changed and you can insert a picture of your favorite person, pet or nature scene. The durable cover and little pen makes this a practical and useful address book that may also be given as a gift. A ribbon bookmark is included so you can keep the location of your most frequently dialed phone numbers highly accessible. Of course you could put them in speed dial, but what fun would that be? 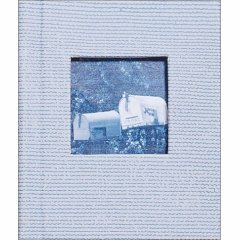 Another use for this book is to fill it with addresses so when you are on vacation, you can easily send out postcards. Travel Your one stop source for information. Air Security/Hot spots Check for problems before leaving home. Amtrak Breathtaking scenery. Take The Coast Starlight from Seattle to Los Angeles. Bed and Breakfast Source for online B & B's. Bermuda Information on travel in Bermuda. Best of fly fishing The best of fly fishing. Brentwood Bay Lodge Close to the Butchart Gardens. Bye Bye NOW An interactive vacation planning experience. over 1,000 luxury villas throughout the Caribbean. Car Wiz Find the best deal on a rental car. Cayman Islands Cayman Island tourism Web site. warm-weather winter escapes to Costa Rica, Hawaii, Southern California, the Redwoods and Texas. Cruise the Northwest Cruise the beautiful San Juan Islands. Culinary Cruise Sail on the Silver Shadow from Barcelona to Venice. Culinary Vacations Visit Provence and take cooking classes. Deliver Travel Discount Travel and Last Minute Travel Details. Travel newsletters and Discount Travel Deal Finder. Disney World Make memories to last a lifetime. I will never forget my visit as a child, it was magical. Expedia Complete travel Web site. Family Cruises Comprehensive source for families with children. Find an ATM anywhere in the world You can print out a list and a map to find ATM locations anywhere. Fodors Where to go, stay, eat and shop. Find out who went and what they said. Frommers Savings on travel for the budget traveler. GNTO Greek National Tourist Organization. Go-Today Flights, guided tours and hotel reservations. Go RVing Cook a gourmet meal in your RV. Hotel Discounts Look for discounts on hotel rooms. Ireland Vacations Visit this mild, temperate climate all-year round. Islands in the Sun Tahiti and Fiji vacations. Jewish Travel A resource for kosher foods while traveling. Journey Woman Online travel source just for women. Kropla Information about electrical currents abroad. Map Quest Creates detailed directions for you, based on point-to-point information. New Mexico Land of Enchantment and lots of sun. One Travel Fast travel bookings and fare beater for great deals. Open Jet Deals within Europe. Passenger Rights Voice your right as a passenger. Places to stay The place to look for a bed and breakfast. Preview Travel Research your next vacation. Price line Choose your own price...what a deal! Rocky Mountaineer The only way to see the Canadian Rockies. Roadside America Here is a site that lists about 8,000 wacky attractions across America. Rosewood Hotels Look fabulous, also have revitalizing therapies. Sita Tours Experience India and other worldwide destinations. Skiing Find a ski resort. For ski schools try Star Skiers at Crystal Mountain, WA. Steam Boat-Ski World-famous powdery slopes. Tour Egypt Tour Egypt on the Net. The Family Travel Files Vacation ideas for family vacations. Travelocity.com Low fares and schedules information. To Scotland Visit Ancient castles and view breathtaking scenery. Enchanting cities and culture. Travelscape Sign up for notification of specials and check for lowest prices on hotels. Travelzoo Some of the web's best buys. Treasured Coast Discover South Carolina's coast. Trip Plan a trip or track a flight. Unclaimed Baggage They sell all the lost treasures from around the world. Uniworld Cruises Take deluxe cruises on legendary rivers. USVI Order maps and travel books on these beautiful islands. VillasCaribe A wealth of information for vacationing in the Caribbean. Villas & Farmhouses to rent in France. Visitid Spectacular scenery and outdoor adventures. Visit Cabo General information on Cabo hotels and activities. Weather Track the weather when traveling. Wenatchee Valley There is a lot to do in the valley. Hike, ski, golf, etc. Wild Women Adventure Take a vacation or shop till you drop in Europe. Web Flyer Track your frequent flyer awards. Xe.net/ucc Find out how much your money is worth in different countries.